Like the Starbucks yogurt parfait? You can now make it at home at a fraction of a price! Bursting with fresh berries, this fruit and yogurt parfait will become your favorite breakfast! 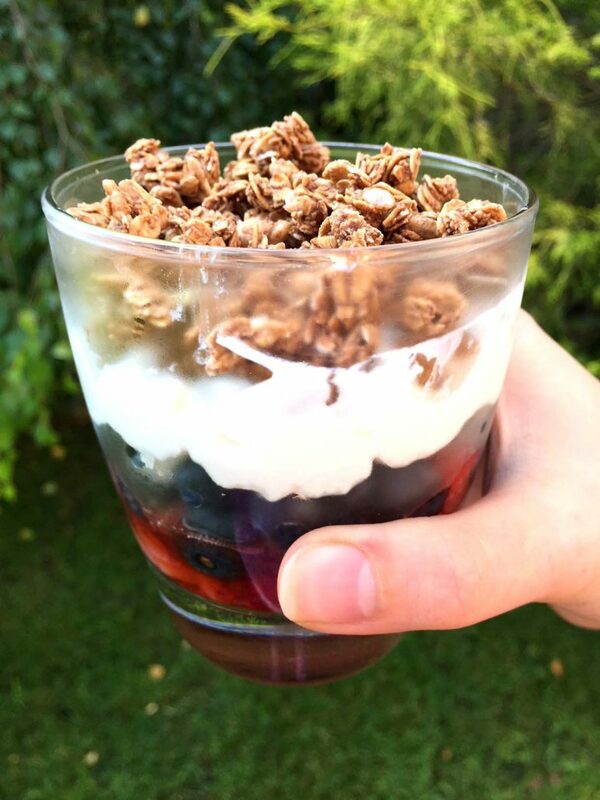 Look at the beautiful layers of this amazing homemade fruit and yogurt parfait! Fresh red strawberries at the bottom are followed by the dark blue fresh blueberries, snow white Greek yogurt and crunchy brown granola. Such a feast of colors, pure layered perfection! 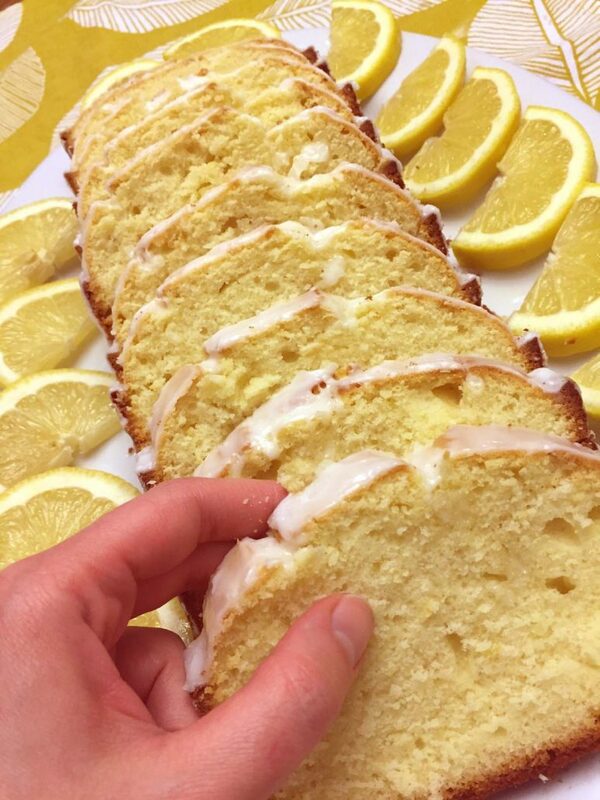 There is something about layered foods that always draws us in. For more layered healthy foods, check out my mason jar salads – they are a must for all meal-preppers! Who needs Starbucks? You can make this healthy fruit and yogurt breakfast in just 5 minutes without leaving your house! And it’s so much cheaper too! You will have more money left in your wallet and you can lounge in the comfort of your own home. 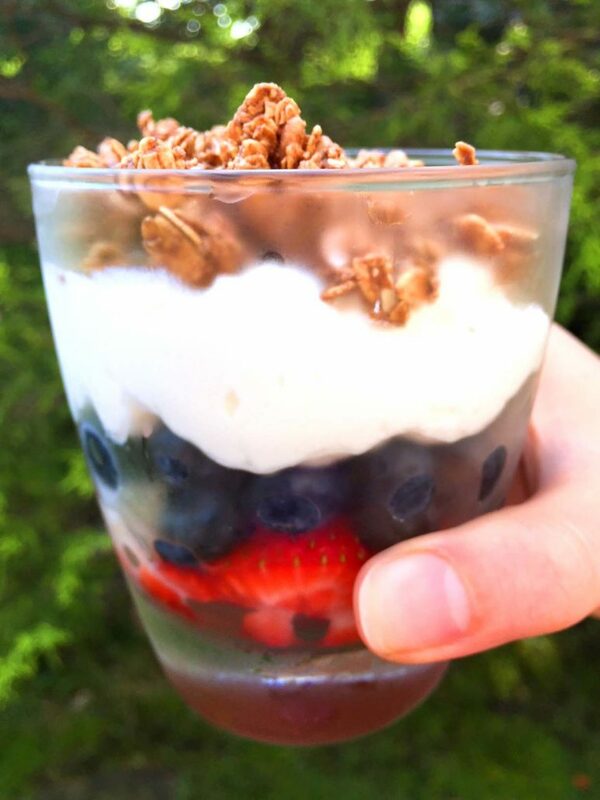 All you need to do is put the berries, Greek yogurt and granola to a bowl, glass cup or mason jar – breakfast is ready! 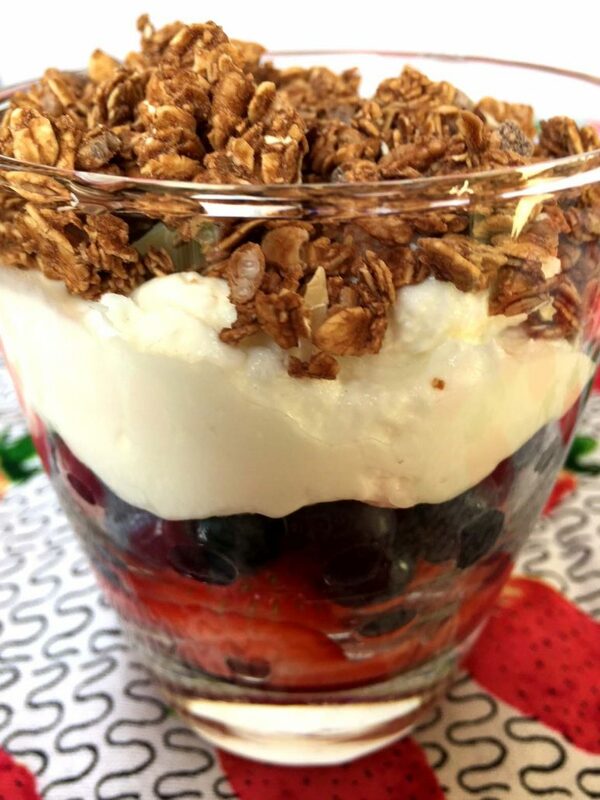 Imagine sticking your spoon into this homemade Greek yogurt parfait and breaking up these beautiful layers! 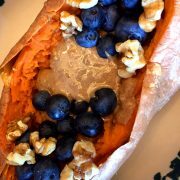 You will eat it all up and this will be the freshest, healthiest, yummiest breakfast ever! This stuff tastes truly amazing. 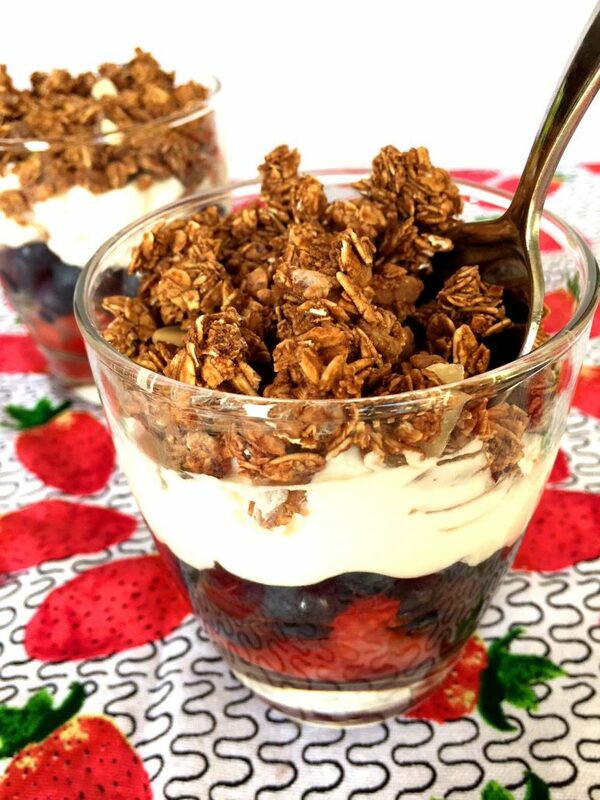 Creamy and tangy Greek yogurt intermixed with the sweet and juicy red strawberries and bursting superfood blueberries, with the crispiest granola satisfying your desire for crunch. 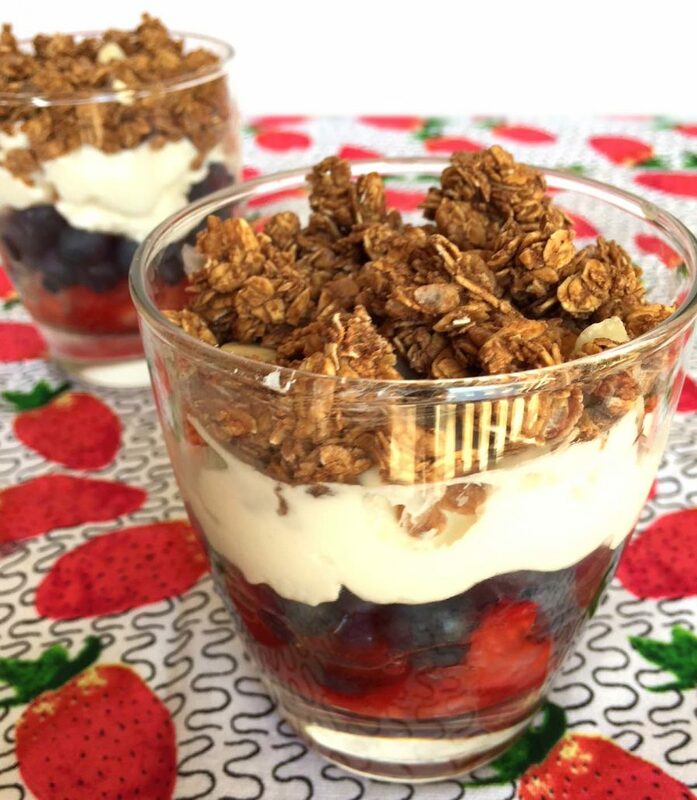 You need this fruit and yogurt parfait in your life, it will truly make your mornings better! Homemade fruit and yogurt parfait breakfast is very healthy. Look at all those ingredients – they are so good for you! 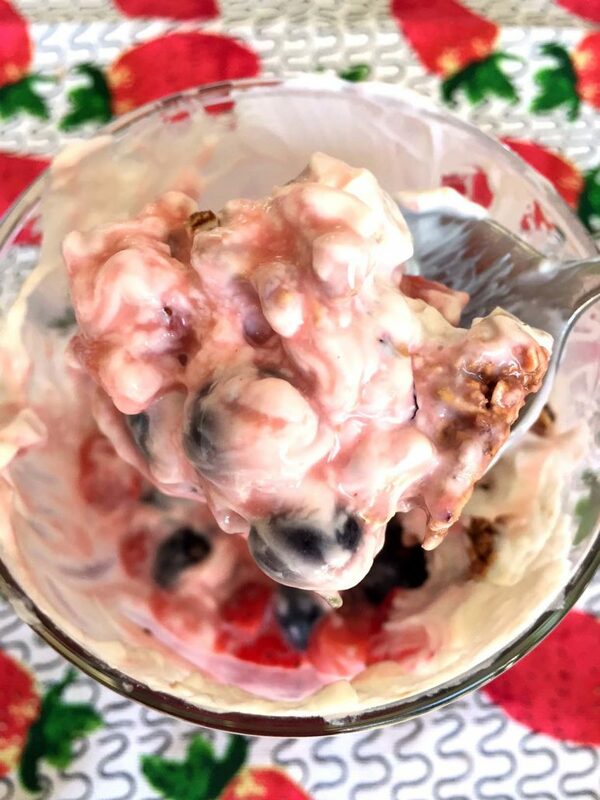 I personally use unsweetened yogurt – the sweetness of the granola and the berries is more then enough. Starbucks uses sweet vanilla yogurt that is full of sugar. 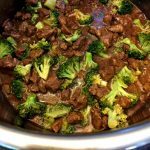 Homemade version is so much healthier! If you’d like, you can stir in a bit of honey into your yogurt or use vanilla yogurt for a true Starbucks copycat. However, reducing added sugar is one of the best things you can do for your health. 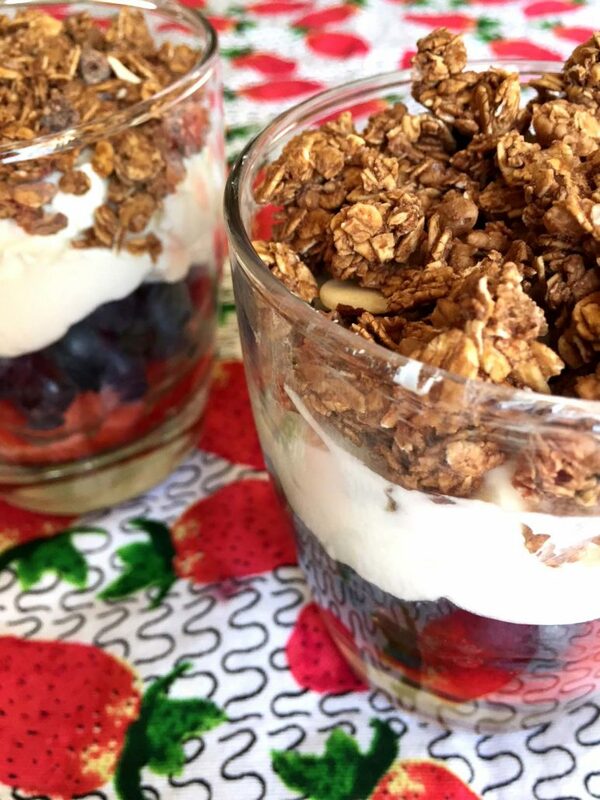 You can meal-prep the whole batch of these fruit and yogurt parfaits to have ready-to-go healthy breakfasts for the week! To make it ahead, just layer blueberries, strawberries, yogurt and granola in 16 oz wide-mouth mason jars, close with lids and refrigerate for up to 5 days. If you want granola to stay super-crispy, you can put a piece of plastic wrap between the yogurt and granola layer (just don’t forget to remove plastic wrap when ready to eat). Or you can omit the granola when meal prepping and add it right before eating. Personally, I don’t really mind the slightly less crispiness and just put the granola on top of the yogurt, so all I need to do in the morning is open the jar and dig in! Of course, feel free to substitute the blueberries and strawberries with any other berries or cut-up fruit! 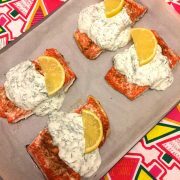 You can also substitute the granola with nuts or seeds – be as creative as you’d like! Homemade Ice Coffee – make the whole pitcher of amazing coffee latte for those summer mornings! 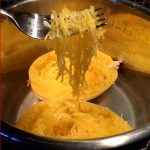 Yogurt Peach Soup – if you got some leftover Greek yogurt, use it to make this awesome summer soup! 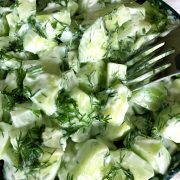 Creamy Cucumber Yogurt Salad – a creamy salad that’s actually healthy! 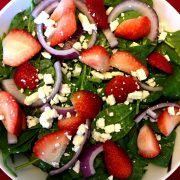 This salad is very popular! Weight Loss Blueberry Muffins – these muffins are gluten-free, sugar-free, low-fat and actually taste amazing! 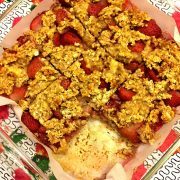 If you are looking for more healthy breakfast, you owe it to yourself to try these miracle muffins! This fruit and yogurt parfait is so colorful, healthy and delicious! It's also so much cheaper than Starbucks version! 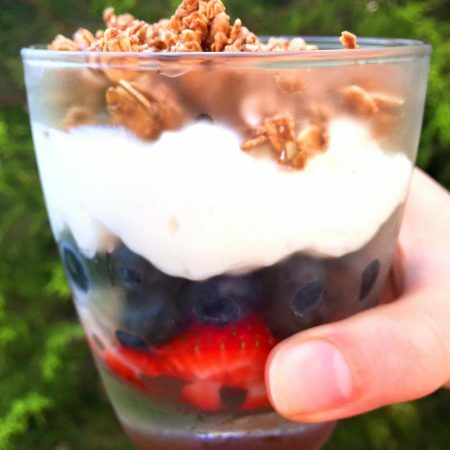 You can make it ahead - imagine these beautiful layered yogurt parfaits with fresh berries waiting for you for breakfast in the fridge! 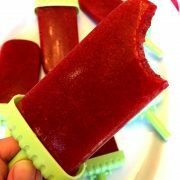 If using frozen berries, defrost them. Put chopped strawberries on the bottom of a glass cup. Put blueberries on top of the strawberries. Put yogurt on top of the blueberries. 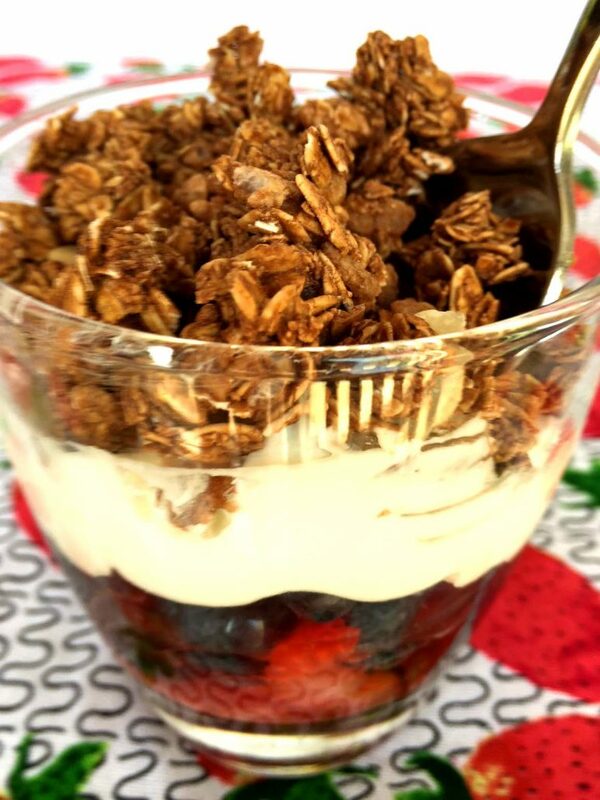 Add granola as a top layer of the fruit and yogurt parfait. If making ahead, simply cover assembled parfaits with plastic wrap and refrigerate for up to 3 days.